It’s interesting to see how LEDs are being tested with regards to eyewear. 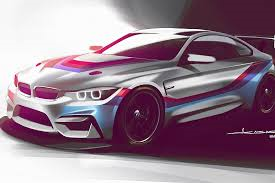 The Le Mans 24 hour race is about to start in France this weekend and, in order to help them stay alert, Osram have announced that six BMW Motorsport drivers have been given the opportunity of wearing special LED eyewear at this year’s endurance race. The glasses that the drivers will be testing emit a light with a high blue output. It is hoped that this will increase and sustain concentration levels during the night sessions of this famous race – which certainly requires great levels of stamina. Osram have previously supplied goggles to the German skiing association but the eyewear being tested at Le Mans is more compact than the ski goggles although still not quite compact enough for more widespread commercial use such as helping people recover from jetlag or for use as an aid to increase day-to-day motivation. However, Osram have added an app that allows the drivers to change the light doses in the glasses so this might make them more suitable for commercial use in the future. Another area where LEDs are being tested in eyewear is with regards to monitoring glucose levels in people with diabetes. Contact lenses have previously been developed to monitor glucose levels but the lenses were uncomfortable for the wearers and the glucose measurements were not reliable. Now, a scientist in South Korea has developed a set of components out of more flexible and softer materials. These materials contain two devices – an antenna and a rectifier that pick up signals from a transmitter and then converts these signals to a small volume of electricity. This charge then powers a glucose sensor and a very small green LED. 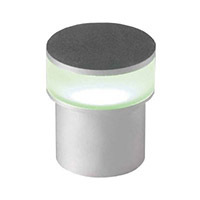 This LED shines outwards so it is visible to the wearer when they look in a mirror. If the glucose sensor records raised levels, the LED turns off – indicating to the wearer that they may need to adjust their insulin levels. Both these types of eyewear are at the very early stages of testing, but it is great to know that the use of LEDs is being expanded beyond purely the decorative environment. 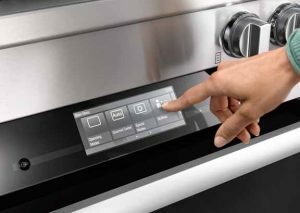 It’s predicted that sales of smart appliances will rise in 2017, so we have been taking a look at all things “smart” that you can have in a kitchen – and what a lot there are! Let’s start with the hob and the hood. One manufacturer now uses technology that enables the hood and hob to communicate with each other so that the hood is automatically activated when the induction hob is switched on and it adjusts its power and lighting accordingly and then the hood switches off automatically. Whilst your hood and hob are talking to each other, your smartphone could be telling your washing machine what to do – from another room, from your office or from abroad! Talking of washing machines, how about a washing machine that can diagnose a fault so that reduces the number of engineer call-outs, or what about a washing machine with downloadable programmes that adapt the machine to the lifestyle of the user – saving time and energy. Moving on to ovens, you can have a built-in oven with a downloadable recipe database – the days of shelves filled with recipe books may be numbered! A recent survey by Hoover shows that of 1000 surveyed, 40% of consumers are interested in operating their appliances via wi-fi and as 85% of the population own a table or smartphone there are huge opportunities for kitchen appliance manufacturers to offer “kitchen connectivity”. Smart fridges are another example of kitchen technology that have been talked about for a quite a while. These appliances have been programmed to sense what type of products are being stored inside it and it then keeps track on the stock level via a barcode or scan. This kind of fridge can often indicate when a product needs replacing as well. However, in addition to smart “white” goods there are now smart appliances. How about a frying pan that has inbuilt sensors that talk to an app – the app then tells you when to turn your piece of salmon over, when to add extra ingredients and when it’s ready to serve! Then we can move on to the apps themselves – how about an app on your ‘phone that will let you know when the oven needs to be turned down for your casserole to be cooked properly and then will let you know when it is ready? Now this might all sound a bit far fetched and perhaps unnecessary as a lot of us enjoy the actual process of cooking and baking. However, imagine if you had a relative who wasn’t as adept at cooking as yourself, or who was having memory problems and couldn’t remember when the oven should be turned down. These smart goods and apps might just be the answer for them to help them continue living a fuller and independent life for a longer period of time. The correct lighting in a kitchen can make or break it. Flourescent strips and incandescent light bulbs used to be just about the only option available, but with the availability of LEDs the range of lighting is now endless. You can have ceiling lights, under-cabinet lighting, kick-strip lighing, pendant lighting, track lighting – the choice is vast. 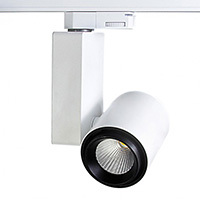 The impression sometimes given is that LED lighting doesn’t last as long as it should – but this is only applies to low quality fittings where the light is not correctly heat managed. 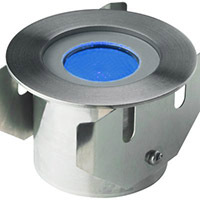 So in order to get the best from your LED lighting make sure it is properly heat managed (also called heat sinking). The heat produced by LEDs has to be properly managed and it is always worth paying that little bit extra for correctly heat sunk LED lighting. So you need to look at having your LED strip lighting in an extrusion as these extrusions will handle the heat issue. 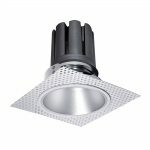 (Bear in mind that the brighter a light fitting, the more heat it produces and therfore the more heat sinking it requires). There are several different types of extrusions to choose from which are suitable for use as under cabinet lighting, kick strip lighting etc. You can also select the type of cover you can have on the extrusion. Many people don’t like the “spotting” effect you get if you are shining the lights down on to a shiny surface so make sure you select an opal cover on the extrusion. Once you have made your choice of LED lighting, you then need to decide whether you want single colour or colour-changing LEDs. 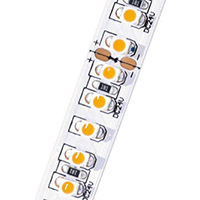 White-only LEDs come in a variety of colour temperatures – from warm white to cool white – as well as a new option of LED tape called CCT or colour control temperature. 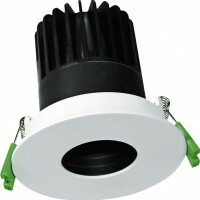 We are rather excited to see these LEDs on the market as you can alternate between warm white, daylight white and cool white all within the same strip lighting. So, you have decided on your light fitting, you have decided on the colour option – now you have to decide on the type of controller to have. Again, there are lots of options on the market – ranging from a simple infra-red unit which requires a line of sight from the remote control to a sensor, to wi-fi units which can be controlled via a remote control or a smart phone app and wall mounted touch screens which can be linked into wi-fi or incorporated into smart home systems. 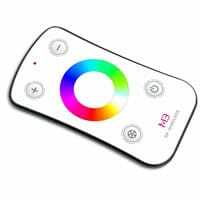 All these controllers allow you to change the colour of the LEDs and the speed at which they change colour as well as the increasing and decreasing the brightness of the LEDs, but some of them have a memory facility in them so you can have hours of fun programming in specific colour sequences! In order to get the most efficient LED lighting you need to do some homework, but the end result will be worth it as you will not only be saving money but you will have far more control over the lighting effects you can have in your property.